There have been moments in my life when I’ve had to pinch myself and ask ‘Is this really happening?’ Yesterday, as 5000 GiveMeTap bottles were snapped in 100 minutes up by Deloitte staff, I had one of the those again! I did not anticipated such love and interest for GiveMeTap :). So touched. It was so emotional for me seeing the bottle that I created over 2.5 years being used by so many people in one location. As I went around the office, I could literally see a bottle on every other 4 desks. WOW! 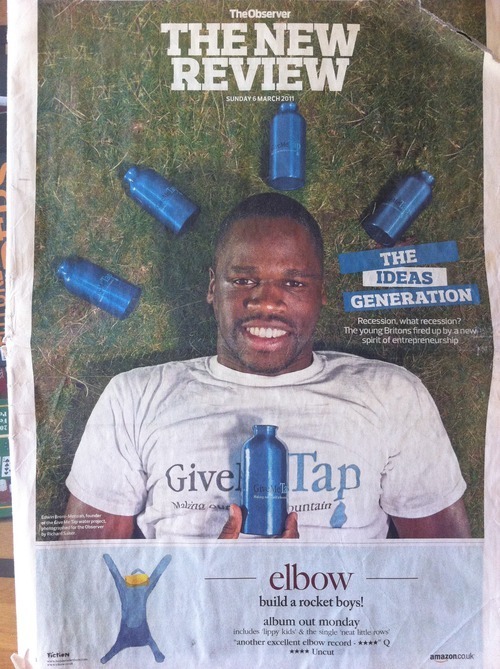 Seeing this amount of GiveMeTap bottles jumping into new owners hands is faster than the time when GiveMeTap made the front page for The Observer, The New Review!